Many have suggested that a two state option might be more "doable." Most appear to prefer a coast-inland split that would look something like the map above. 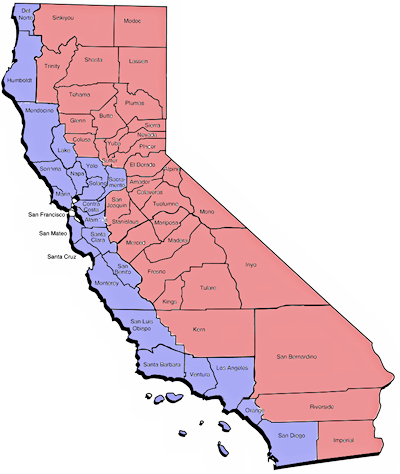 The "Three Californias" proposal is preferable over the long term for a myriad of reasons, but this option is preferable to the current situation.